Ah, the Headache Hat. Here to ease the effects of my Saturday night, and block out the world from my Sunday morning. 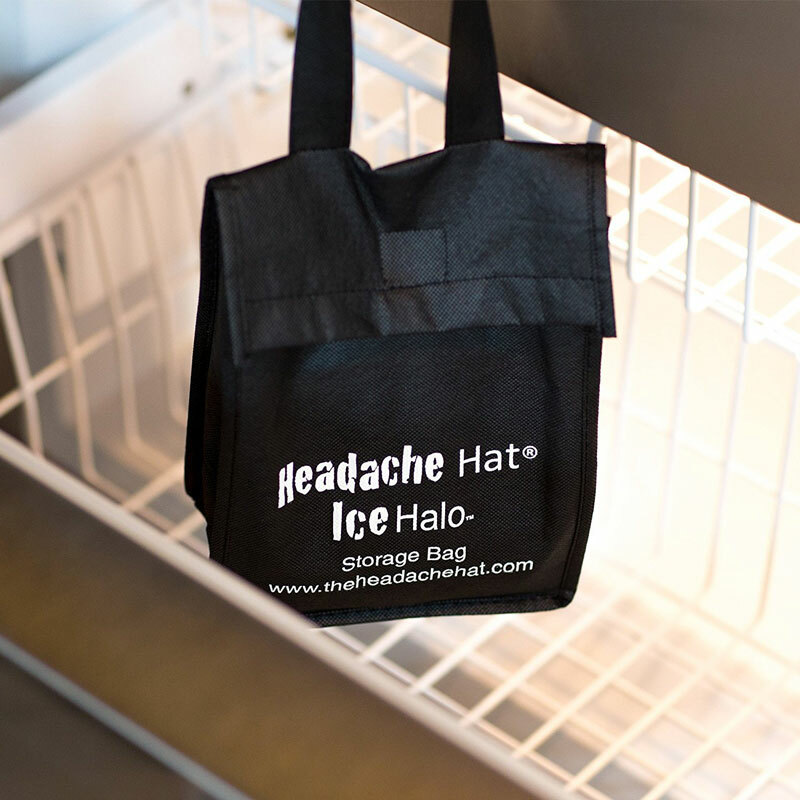 The self-described "ice halo" consists of 24 individually wrapped water cubes you ice out in the freezer, and then secure around your head with a fat velcro band to launch the headache-banishing process. Or, if you're like me, assist the cocktail of OTC pills you already took in their painkilling efforts. 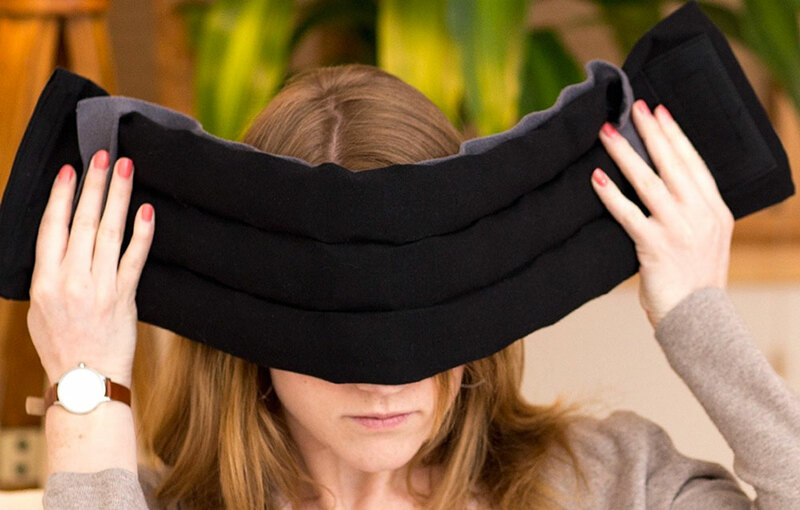 The Headache Hat's combination of cold and compression can help soothe sufferers of migraines, head and neck tension, and general stress. 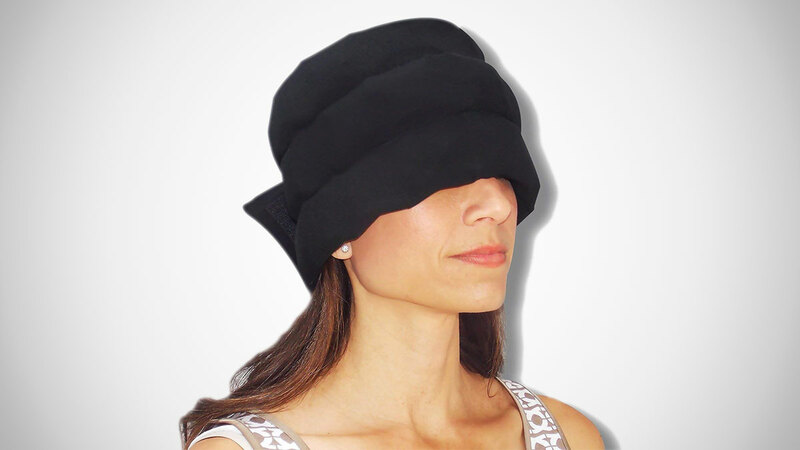 The head wrap is soft and flexible, made of cotton, spandex, and micro-fleece. 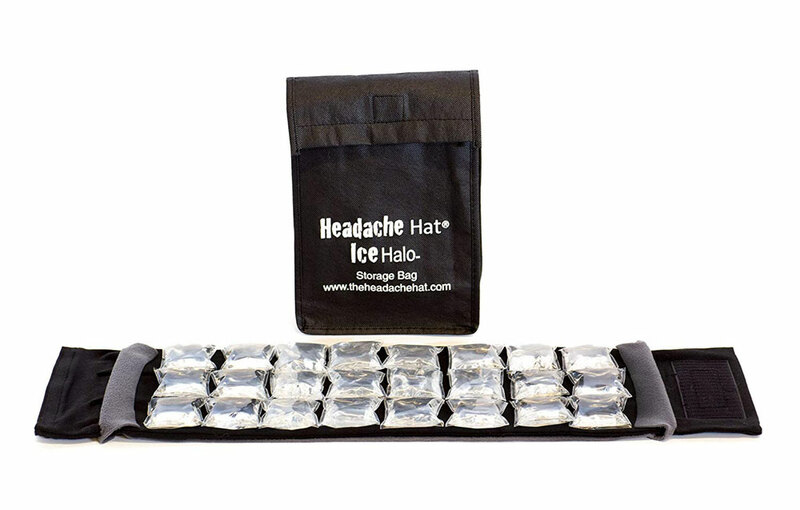 Ice chambers are lined with a thin layer of plastic to prevent melting ice from condensing and dripping down your face. You can also co-opt the Headache Hat as a neck wrap, or plop it on a shoulder or knee if you need some cold therapy a little lower. Headache Hats come in 2 sizes: Average; and Big Ol' Melon XL.